Goodreads: Diagnosed with XP, a rare medical condition which makes him lethally sensitive to light, Tyler is a thirteen-year-old who desperately wants just one thing: to be normal. His mother Eve also wants just one thing: to protect her son. As Tyler begins roaming their cul-de-sac at night, cloaked in the safety of the darkness, he peers into the lives of the other families on the street-looking in on the things they most want hidden. 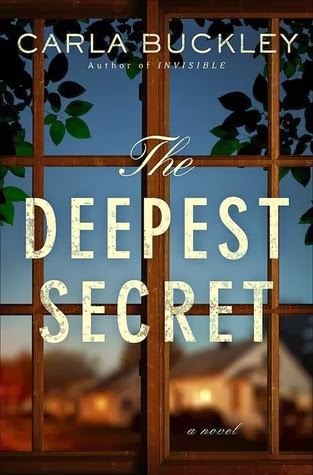 Then, the young daughter of a neighbor suddenly vanishes, and Tyler may be the only one who can make sense of her disappearance…but what will happen when everyone's secrets are exposed to the light? Kritters Thoughts: What would you do in order to save your family from harm? Eve is a mother of two and one of her children has been living with a life threatening condition and she has spent the last few years taking care of her son and trying to keep the rest of the family together. A tragedy happens and she must make a big decision. Thankfully the tragedy that occurs isn't spoiled in the synopsis and I can't spoil it here either! I can say that it involves the neighborhood and I thought this was in interesting twist by adding in neighbors as bigger characters mixed in with the family drama aspect. The other part that kept me reading was the disease that Eve's son Tyler lives with - his inability to be near UV rays and sunlight. This book made me thing about the extreme of this disease and what those have to suffer through. A good family drama that I was definitely interested to find out how it would all unravel. As the parent of a child with serious medical issues I think I'd be able to identify with the mom in this story to some degree. I'm looking forward to reading it!